Based in London, we specialise in Same Day Printing and Signs, Wide Format Print, Vehicle & Fleet Graphics, Banners and more to both our strong repeat local and national customer base. We offer an unrivalled nationwide service on the tightest of turnarounds. Built from the Growing Demand for Fast Printing and Reliable repeat Service. We are the UK’s undisputed Fastest Print and Sign Company, based in London. Established in 2016, we started off simply offering a Same Day service in London for business cards and flyers. Now, we are one of the fastest growing companies in the industry, working with over 500 clients including many of the world’s largest brandeds. 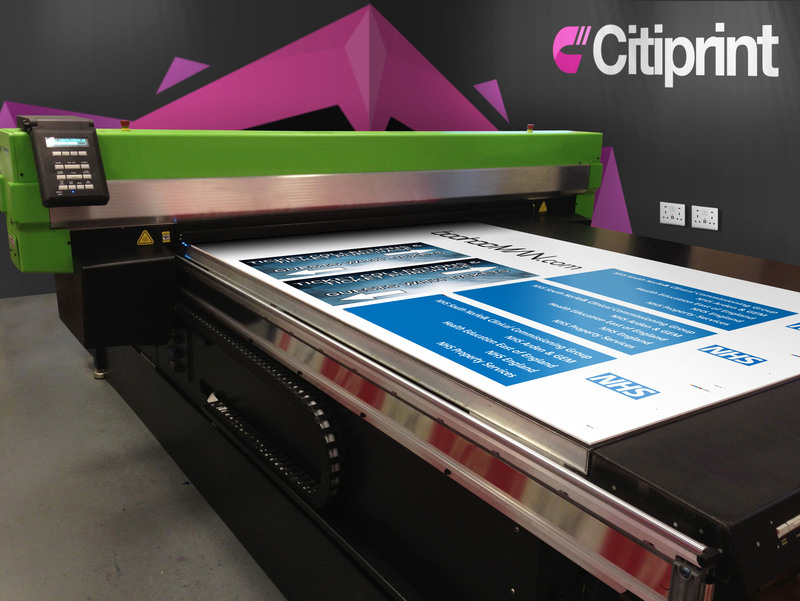 At Citiprint, we are constantly reinvesting to fuel growth – including the recent purchase of two new wide format eco-solvent printers to produce outdoor signage, banners, wraps and graphics. Our team also regularly receive the latest in industry training to ensure a high level of service, quality and satisfaction on every job. Our London premises produces just under 1 million items a year from flyers to jackets and banners to stickers. Our key service point is speed – particularly Same & Next Day turnaround on nearly every service and product we offer. As we are a bricks and mortar business, you can visit us anytime. We won’t show you someone else’s samples, we’ll show you real work we’ve produced for real clients. We are not a print broker and offer a 24/7 service to the public and trade. You can visit us any time, please see our contact page for location details. Alternatively, we can come to you to discuss your print requirements. Please call or email us and we’ll be happy to help. To pull anything off the same day including delivery can be a daunting task and often expensive. Spotting a gap in the market, we’ve built up a strong logistics network meaning we can deliver to you the same day within the M25 and certain surrounding areas and the next day across the rest of the UK. When the .com boom arrived, the print industry headed online with key competitors leading the way. Since then, traditional high street printers saw a huge decline and have struggled to adapt. We’ve continued to grow year on year through continuing to adapt to the ever changing industry. We are the fastest UK print company, able to offer 100s of products on a Same Day service across London and the UK. This is often put to the test by our new and repeat customers including recent orders for 250 printed t-shirts produced overnight, same day vehicle graphics and overnight HGV wraps. Not sure what feel of business cards you’re after or want to compare us to another printers? No problem, we’ll send out a free sample pack to you within a few days.